Ross Richards and Sally Fields are each other’s True Love, they just don’t know it! Emma Valentine is just your average ordinary twenty-four year old Manhattanite, living in an apartment that makes a shoebox look spacious, barely making a living working as the cutest barista at the Grind House and, oh yeah, she’s also Cupid’s Daughter. That’s right. Cupid. As in the guy responsible for helping everyone find their True Love. Which means Ross and Sally are a match made in Emma’s hands, if she could only actually get them in the same room together. Cupid’s Daughter is a short story style series. Each issue is approximately 10,000 words or 30 pages. The first 3 issues are available right now through Kindle Unlimited! 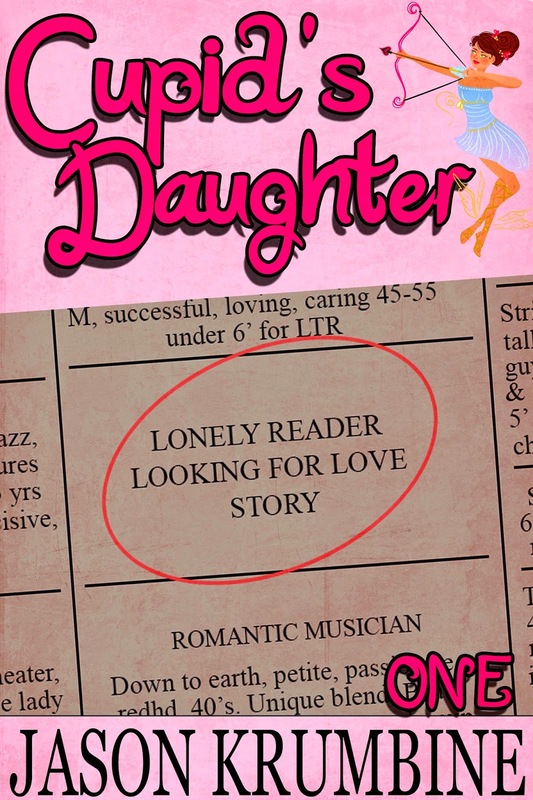 Issue One - "Lonely Reader Looking for Love Story"
Issue Two - "Looking for that Love Connection"
Issue Three - "Lonely, But Afraid to Love"
I know what you’re thinking, “Didn’t Jason already do a Cupid’s Daughter thing three years ago?” The answer is yes, of course, I did. For whatever reason, it didn’t catch on. But the idea has continued to stick with me and, like I’ve done before, I decided to take another stab at it, from a slightly different angle. In addition to expanding my catalogue this year, I really wanted to experiment with Kindle Unlimited. A lot of other authors have found tremendous success in the program this past year and I’m hoping to come at least a little close to what they achieved. Even though this series is specifically written for the KU in mind, you can still purchase each installment for $0.99 regardless of whether or not you’re KU subscriber. Despite the fact that Cupid’s Daughter was something I had done before, this particular incarnation was a really tough nut to crack. My wife and I started outlining this new series back in February. In my first attempt I tried to just continue from the previous book, albeit in a soft reboot fashion. I was basically going to dump all the setup from the original Cupid’s Daughter (Emma being a divorce lawyer, any potential love interests for Emma and Emma’s overall reluctance to join the family business) and just skip ahead to Emma being involved full time with the Cupid business, with a new potential love interest and her brother playing a larger supporting role. I did almost an entire issue with this setup before I ran into a brick wall. For whatever reason, it wasn’t clicking with me and if it wasn’t working for me, than it wasn’t going to work for you. So I started over from scratch. More or less. I kept a lot of the names. Emma’s a little younger than she was the first time around and she’s not a lawyer anymore. Fiona is still her best friend. There is no more Luke and we have a couple of new characters to round out the supporting cast. I think this is a much better version of the story. If you’ve never read the original Cupid’s Daughter, don’t worry about it. It’s not required reading. It’s like a first draft compared to this final, polished draft I’m releasing now. 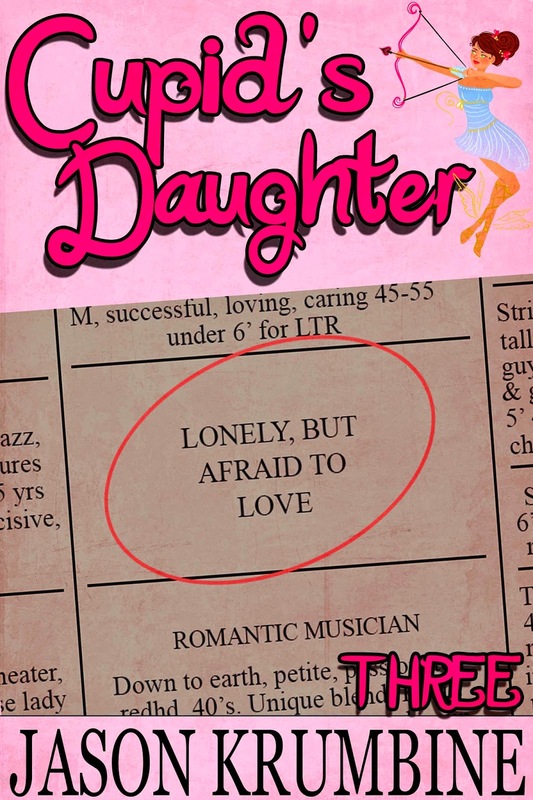 There will be 3 more issues of Cupid’s Daughter in late May, early June. After that, I don’t know what’s going to happen. It’ll really depend on the level of success the series has. So if you like it, make sure you tell all of your friends!